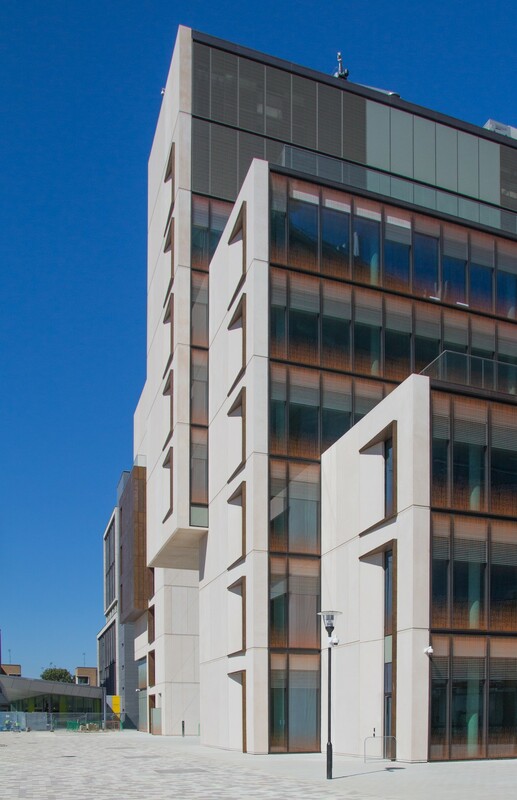 Aukett Swanke has completed the new Imperial College London Molecular Sciences Research Hub (MSRH) at the White City Campus in west London, which was launched on Friday morning. The building, won in a limited design competition in 2012, is the second building that Aukett Swanke have designed and completed on the campus, for which we also designed the north site masterplan in 2009. 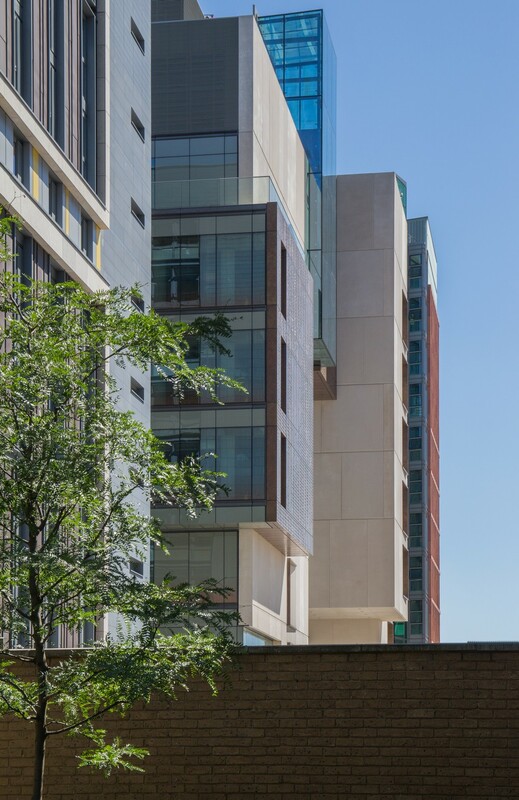 The masterplan set out a new campus for Imperial as genuinely mixed-use quarter within the wider White City Opportunity Area. It created a range of academic and creative uses totalling 1.2m sqft, including research and technology transfer space, flexible teaching and conference space, postgraduate and private residential accommodation, and commercial office space. 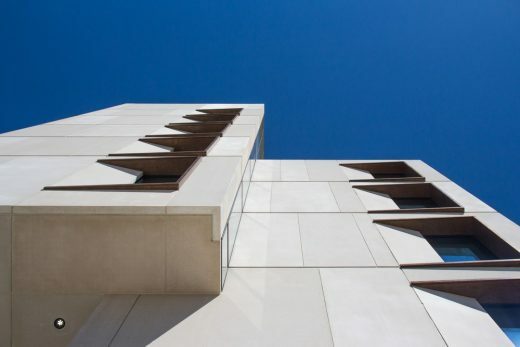 The first phase of development, a 606 unit postgraduate student housing building, was completed in summer 2012 in time for the new academic year. Four linear wings, step up from north to south to transition between the scale of the adjacent residential area to the larger scale envisaged within the core of the masterplan. 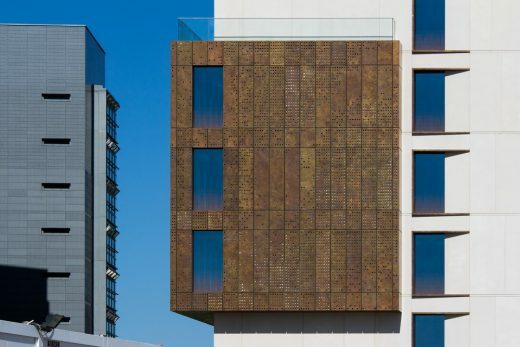 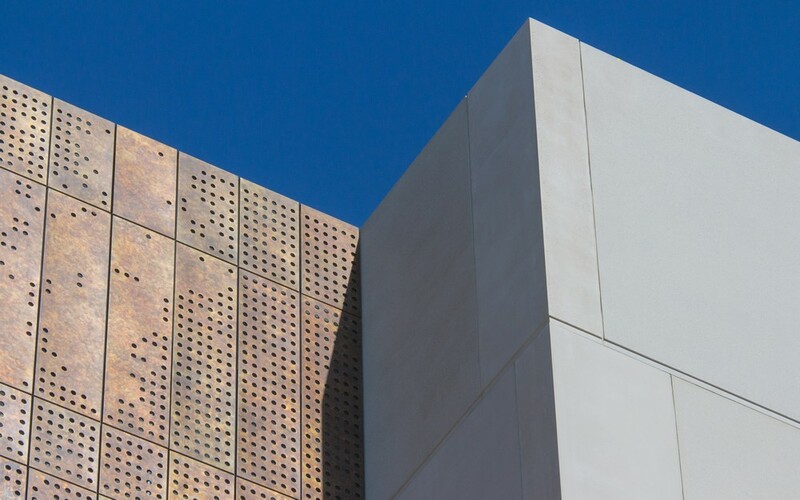 The BREEAM ‘Excellent’ project set an exemplar for future stages of the masterplan, using high quality materials such as natural stone and copper cladding and pod bathrooms and kitchens fully prefabricated in Italy. The Molecular Sciences Research Hub, won in competition in 2012, has evolved to include high specification technical and laboratory areas clustered around a full height atrium that will form the centre piece of the Imperial’s White City campus. 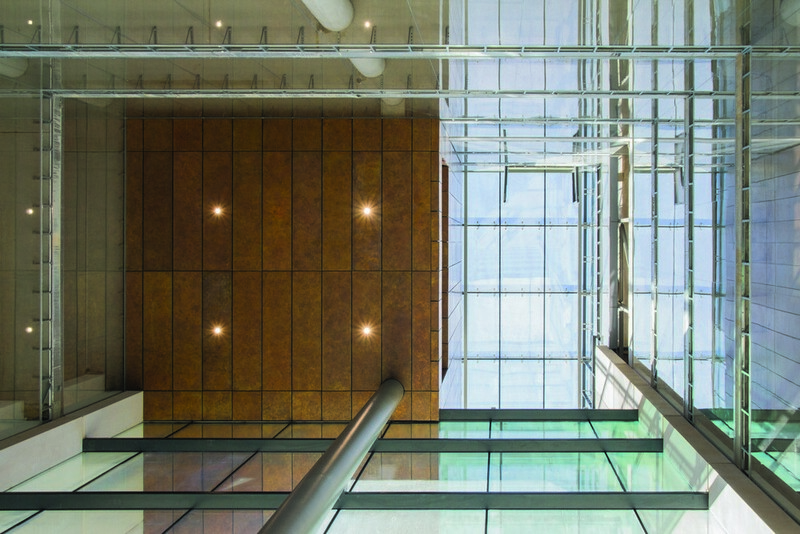 The interior and specialist spaces were designed by Sheppard Robson, with the practice’s involvement including the briefing stages of the project, setting the foundation for the collaborative, ‘silo-breaking’ model for research. 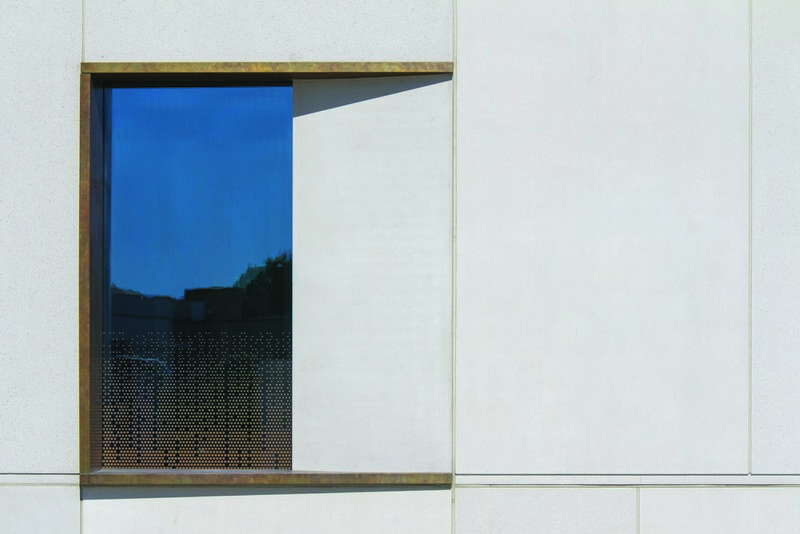 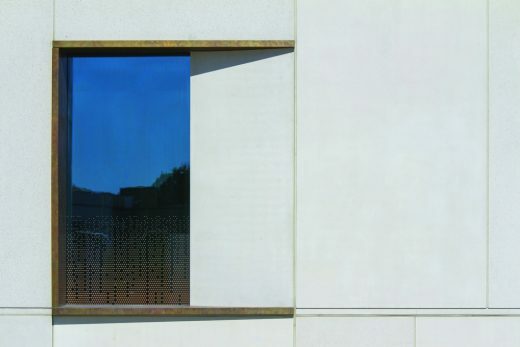 The main façade is clad in stone, backlit perforated bronze and triple glazed ventilated curtain walling, creating a calm composition of solids, voids and translucency, facing the new central space. 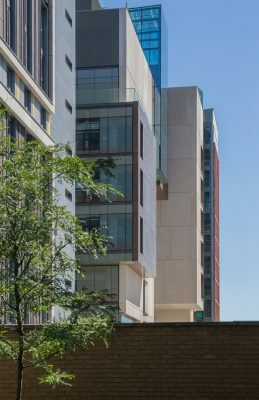 The building establishes a positive transparency, revealing its inner workings and encouraging the physical and visual connectivity that is fundamental to interactive research. 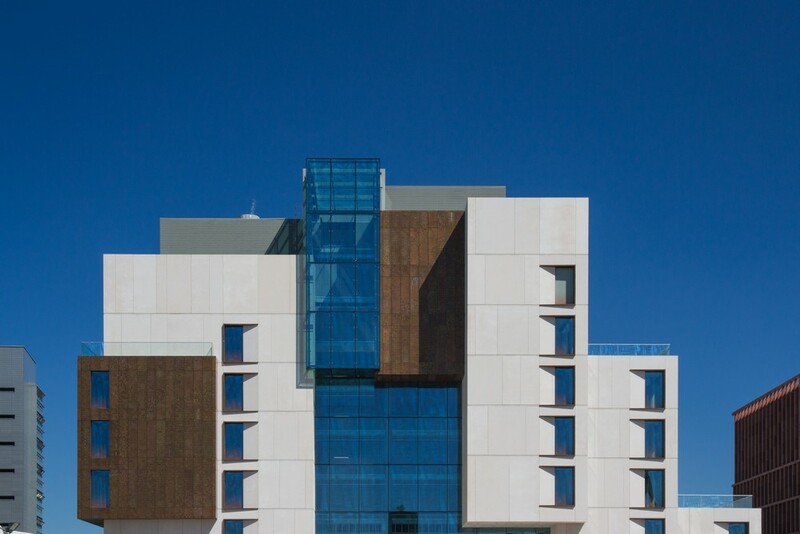 Flexibility, adaptability and sustainability are core features of the design, which also incorporates a flagship research facility – the Centre for Rapid Online Analysis of Reactions (ROAR) – which is the first national centre for the study of reactions, focusing on data-centric chemistry. 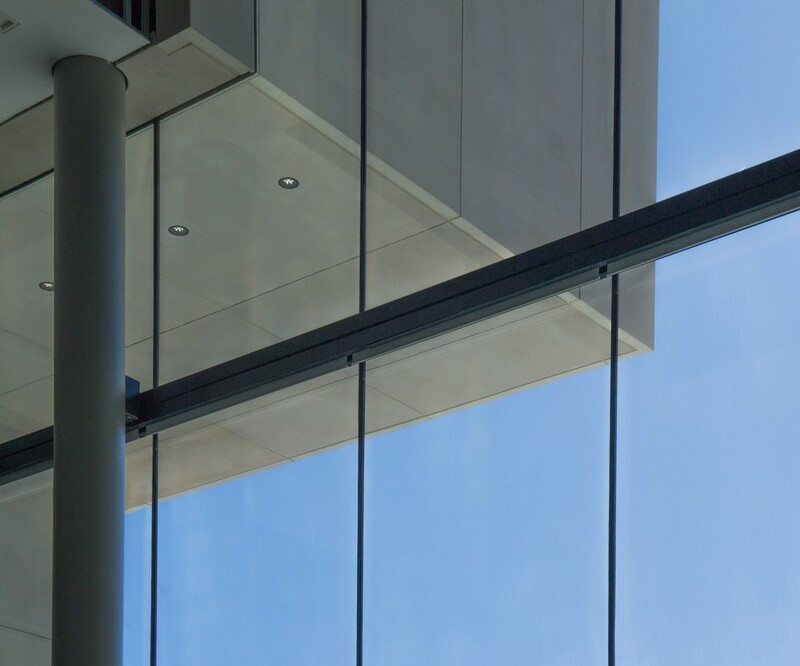 Aukett Swanke has an extensive portfolio in the education sector. We undertake ongoing research and development into teaching and learning building typologies which has led to early innovative buildings such as the Jennie Lee Building for the Open University, which explored new spatial relationships within academic workspace. 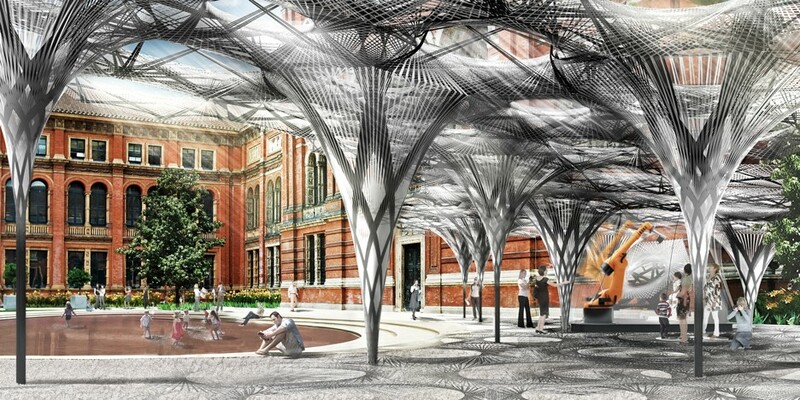 The Centre for Collaborative Construction Research at Loughborough University was followed by the City of London Academy which implemented extensive research undertaken under the rubric of ‘Nursey to Boardroom’. 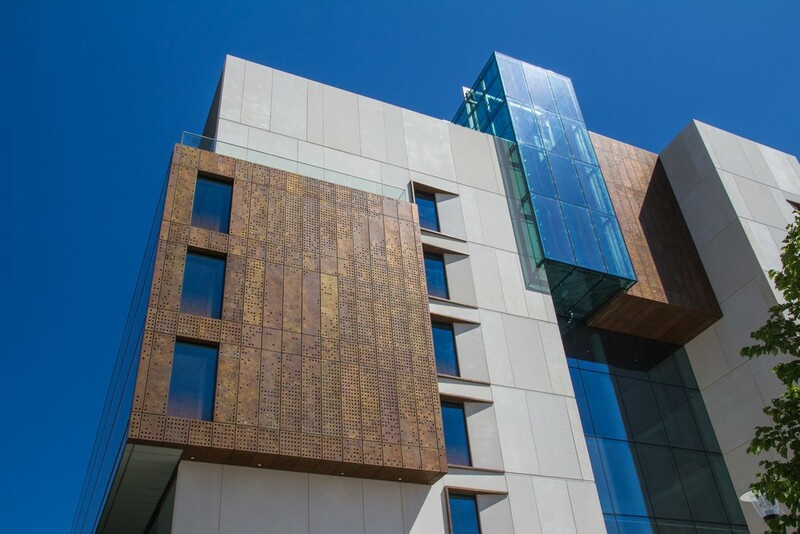 This innovation continues with our new Steamhouse project for the Birmingham City University which provides incubator space within a hybrid teaching and commercial environment. 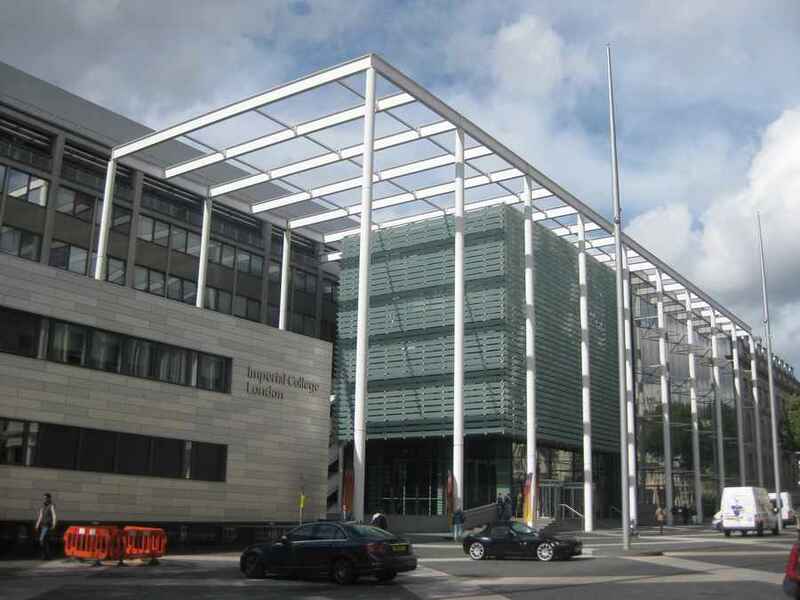 We are delighted to see the completion of this calm and welcoming yet highly agile research and learning building. 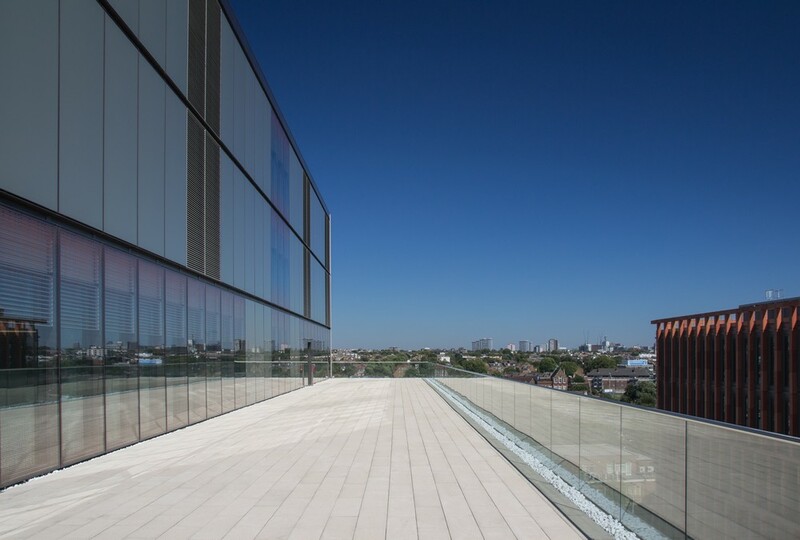 Its relationship with Imperial College London’s new White City Campus is both open to academic and social interaction whilst enabling quieter focused research. 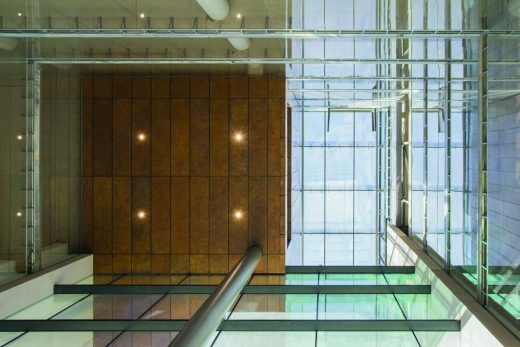 The stepping forms and natural materials have been composed to support and reflect its visible and physical permeability, whilst providing internal volumes suited to the specialist lab fit outs.